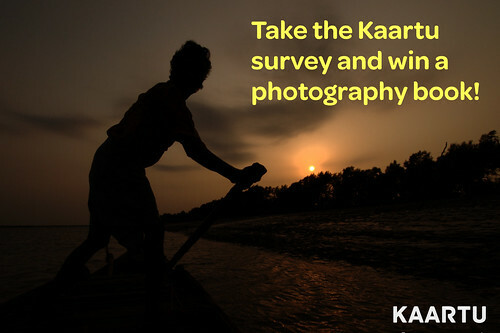 Help make Kaartu awesome and win a photography book! Home » Announcements » Help make Kaartu awesome and win a photography book! Of late, we have been spending a lot of time ideating on how we could improve Kaartu further. Of course, that would not be complete without getting feedback from people who matter the most – you! We would love to have your feedback on how we could make Kaartu truly awesome! Please do answer the questionnaire below and help us with your replies. It wont take much of your time. Please click on this link for the survey. Oh yeah, we will pick a random winner and reward him/her with a book from the list below. Your feedback should reach us before Sept 30, 2012. NOTE: Entering email is optional. But if you want to qualify for the contest, you have to enter that. Otherwise, we would not know who it is.